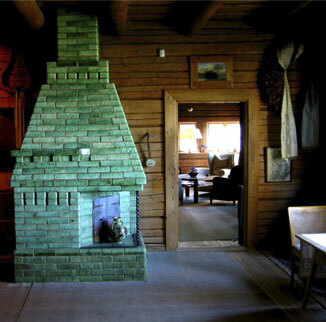 When Lars Sonck began the architectural design work for Ainola, Jean Sibelius had two requests: he wanted his study window to have a view over Lake Tuusula, and he wanted a green fireplace in the dining room. Both of these requests were honoured. 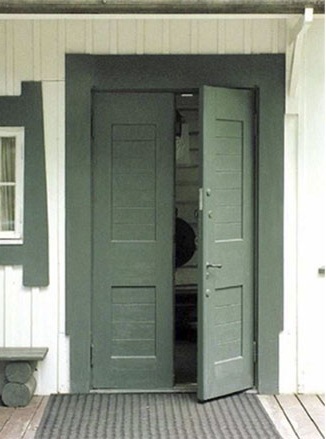 The Sibelius family moved into the house in the autumn of 1904. The ground floor contained a study for the composer, a dining room, two bedrooms, a kitchen and a room for servants. The upper floor was completed in 1911. It comprised a bedroom for the parents, a study with a better view of the lake and a guest room. Part of the upper floor remained as an open loft for storage. At the same time the downstairs study was converted into a living room. The timber walls were papered over and the house was furnished in the style favoured by contemporary bourgeois families. 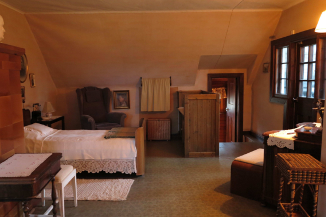 The daughters were then able to use both of the downstairs bedrooms. When the youngest daughter Heidi married and left home, the furnishings were once again changed on the ground floor. 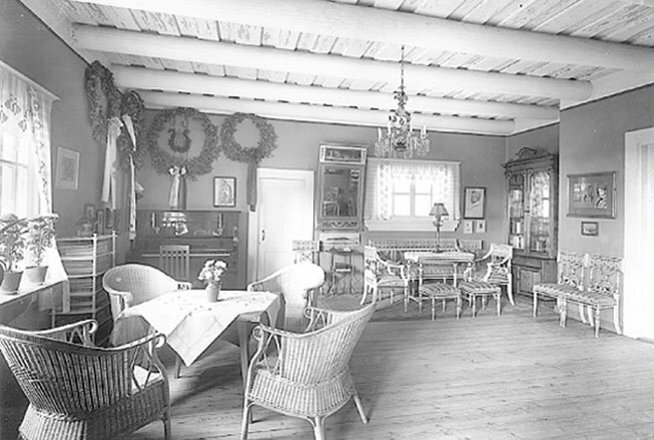 Heidi’s husband, the architect Aulis Blomstedt, designed a comfortable library in place of one of the daughters’ room, and the other was decorated as a study and bedroom for the elderly Jean Sibelius, who no longer wished to climb the stairs to the upper floor. No piped water was installed in the house during the composer’s lifetime, as he did not wish to be disturbed while working. Electricity was installed as late as 1918, whilst a telephone connection had been fitted soon after the house’s completion in 1904. 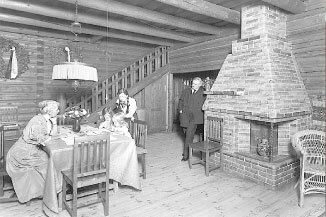 Behind the kitchen was a room for the two long-serving servants, Aino Kari (the housemaid and nanny) and Helmi Vainikainen (the cook). 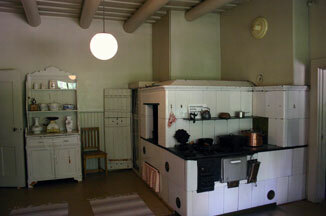 In the house’s stone basement there was also a room for Heikki Sormunen, the long-serving stableman and caretaker. A further essential part of Ainola is the garden, which was cleared and planted by Aino Sibelius almost single-handedly. Aino Sibelius lived at Ainola for a further twelve years after the death of her husband. 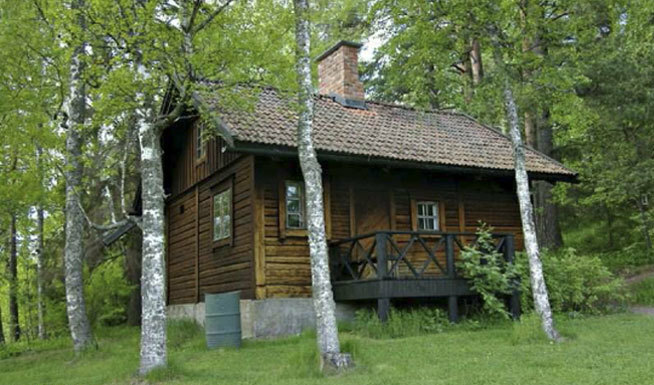 The present appearance of Ainola is an authentic representation of the house at this time.